By now, almost everyone knows that I am a big fan of brief, intense, and efficient training methods for both strength and conditioning. In my opinion High Intensity Strength Training, with maximal efforts, and minimal rest periods, is the ultimate tool to achieve Super fitness. For years I have been recommending intense interval style training, as well as high intensity circuit strength training, to my clients who are trying to lose body fat in the shortest time possible. This style of training is the ultimate means to drive metabolic cost and maximize caloric expenditure. 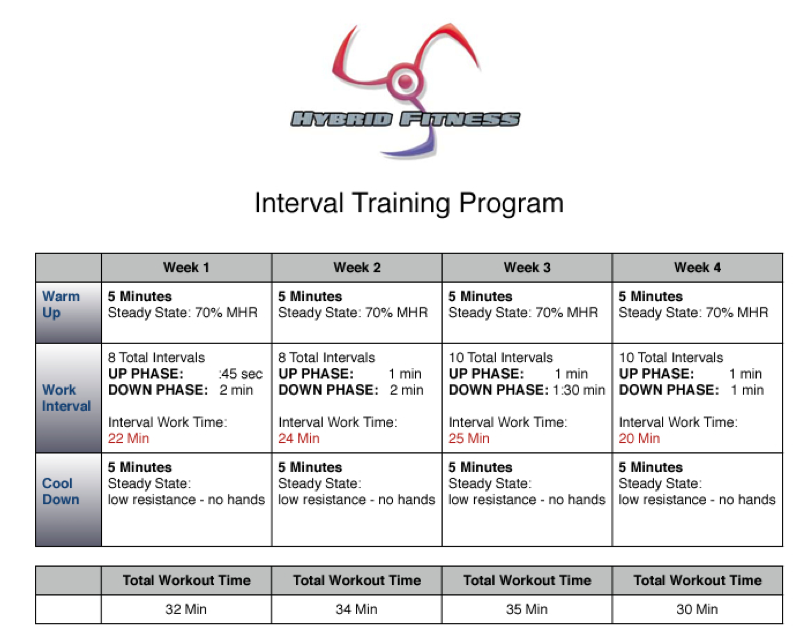 Purpose: To perform match comparison of 3 different exercise programs: traditional continuous endurance training (ET); mixed-intensity interval endurance training (MI-ET) and circuit-interval resistance training (CRT) programs, to determine which of the three programs provides greater benefit of exercise in individuals who are overweight. Conclusions: The MI-ET program spent a greater percent of training time within a favorable training zone than CRT and ET programs. The MI-ET and CRT programs produced greater caloric expenditure than the ET program, with no statistical difference between the MI-ET and CRT programs. Although the CRT program produces the greatest overall caloric expenditure, the MI-ET program produces measures that provided significantly greater benefit of exercise for the 3 programs of interest. IN PLAIN ENGLISH: If you want to maximize energy expenditure to facilitate fat-loss, choose more intense interval-type training and/or circuit strength training as opposed to walking on a treadmill or running at a low-level continuous pace. * Thanks to my friend Tom Kelso for sharing the awesome information he has at his home page. P.S. (click on Tom’s name above, so that you can drop by his sight, and explore for yourself).